A new report says Amazon paid zero dollars despite making $5.6 billion in profits last year, and will be getting a $789 million tax cut thanks to the Trump administration's new law in 2018. During the year 2017, Amazon announced that it would be opening a second $5 billion headquarters, bought Whole Foods for $13.7 billion, its stock price grew by 56 percent, and CEO and founder Jeff Bezos became the first person to have a net worth over $100 billion since Bill Gates in 1999, but one thing it didn’t do for the year was pay a single dollar in federal income taxes. “The company’s financial statement suggests that various tax credits and tax breaks for executive stock options are responsible for zeroing out the company’s tax this year,” the report said. Being based in the state of Washington, Amazon also does not pay any state income tax, either (though it does pay the state’s B&O tax). 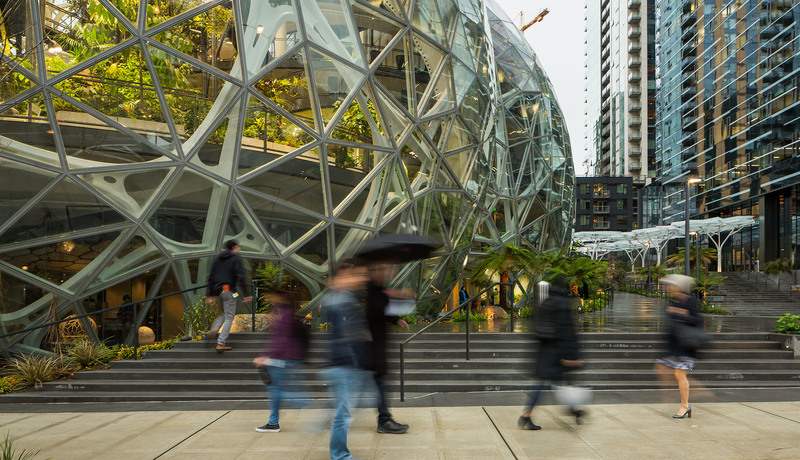 That five-year period could be viewed as a comparatively more challenging tax time for Amazon, as the Trump Administration’s new tax law will give the Seattle-based company a $789 million one-time tax break, the report says. “While the Trump Administration’s corporate tax cuts generally took effect on January 1st, the law includes a grandfather clause for companies that (like Amazon) have managed to defer or postpone tax liability from prior years,” the report says. Of course, this also is all happening while the competition for Amazon’s HQ2 continues to build toward a selection, which, in all likelihood, will include a tax break into the billions of dollars, with many of the 20 finalists offering massive tax incentive packages. Newark, New Jersey’s $7 billion offer is the largest that’s been made public.